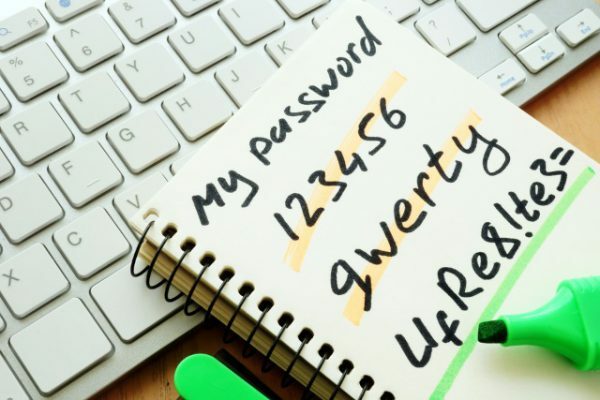 According to a new study, 69 percent of respondents admit to sharing passwords with others in the workplace, and 51 percent reuse an average of five passwords across their business and personal accounts. The study by authentication key vendor Yubico and Ponemon, released to coincide with Data Protection Day, also finds two-factor authentication isn't widely used, 55 percent don't use it at work and 67 percent don't use it for their personal accounts. More than half of respondents (51 percent) say they have experienced a phishing attack in their personal life, while 44 percent have had a phishing attack at work. However, 57 percent of those who had experienced a phishing attack say they didn't change their password behavior. Yet despite their attitude to security 63 percent of respondents say they are more concerned about the privacy and security of their personal data than they were two years ago. The leading reason for concerns about privacy (cited by 59 percent) was growing worries over government snooping, compared to 'I know someone who had a data breach' (35 percent). "For decades, passwords have been the primary method of authentication used to protect data and accounts from unauthorized access. However, this multi-country research illustrates the difficulties associated with proper password hygiene," says Stina Ehrensvard, CEO and founder of Yubico. "With every new password breach that we see, it’s become increasingly clear that new security approaches are needed to help individuals manage and protect their accounts both personally and professionally." You can find out more in the full report available from the Yubico website.